The Italian Crooner. Jazz & Swing… Made in Italy! 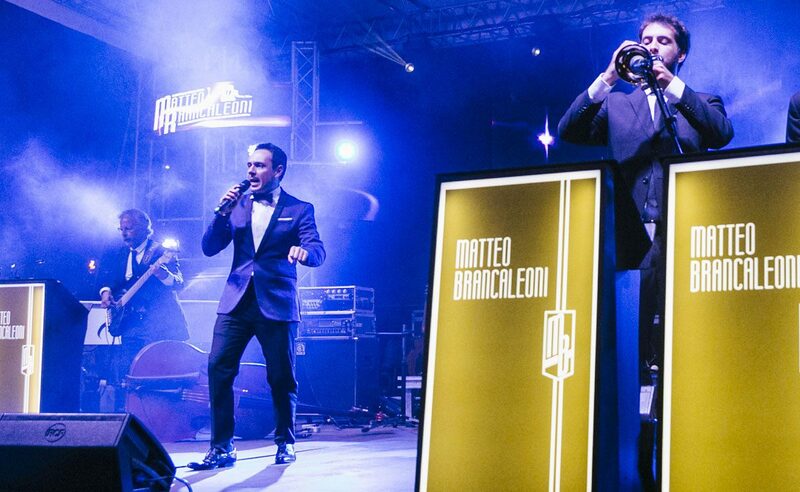 Elegant, classy, ​​cool … this is Matteo Brancaleoni, the one and only “Italian Crooner“. 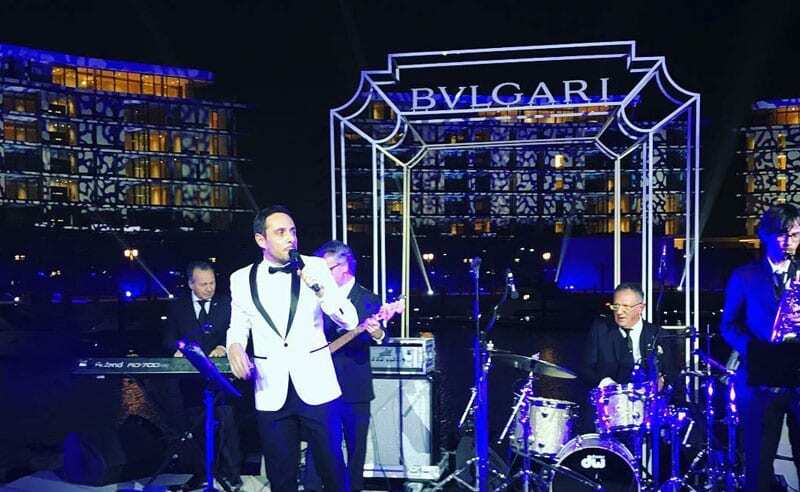 From Shanghai to Dubai, from Moscow to Las Vegas, he is back from the tour that this year, has brought him in 4 continents as “Ambassador of Swing” and Italian music in the world. 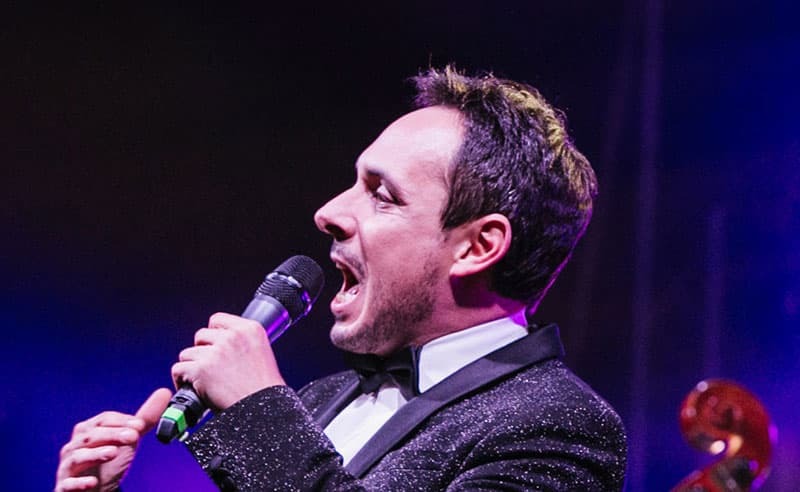 For 15 years on the Italian and international jazz and swing scene he is considered one of the main performers of the Italian and American Songbook. 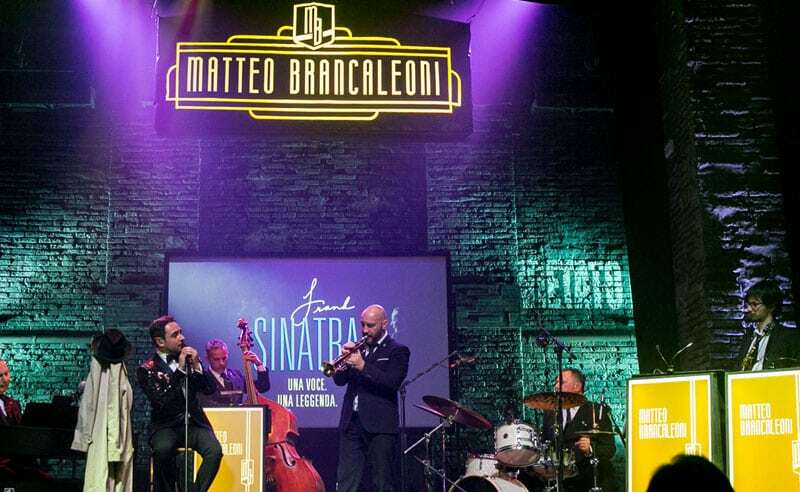 Often compared to his idols Frank Sinatra, Dean Martin and Nicola Arigliano, it is simply the best of swing and jazz tradition in Italy. 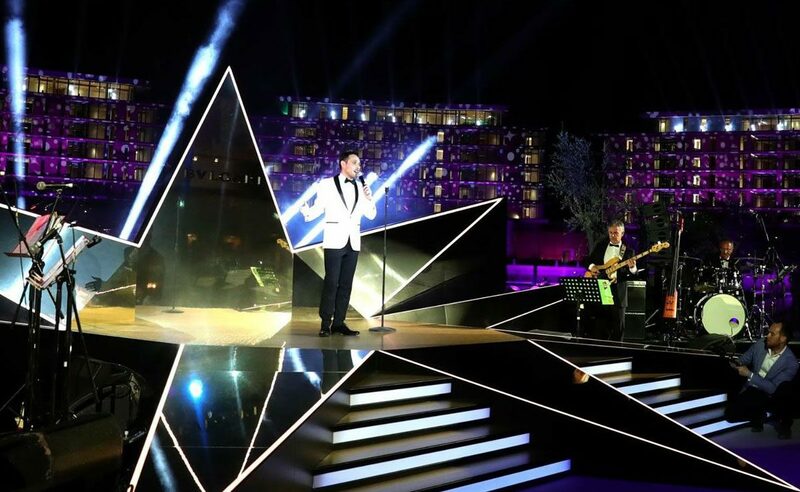 With over 800 concerts he has performed in some of the most prestigious and exclusive stages, locations and festivals in the world. He grossed 12 SOLD OUT at the Blue Note Milan. He has sold over 60,000 copies of his records and recorded 7 albums that have reached 4 times the # 1 position of the best-selling jazz records on iTunes. 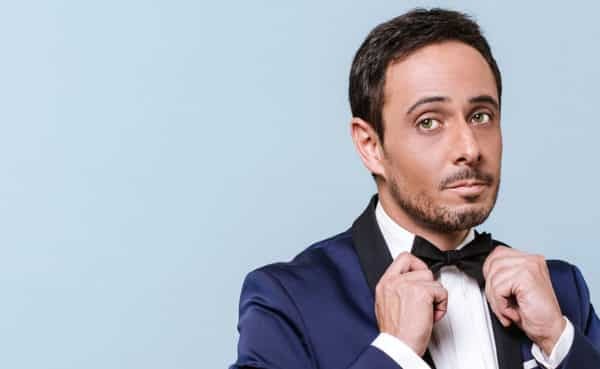 Over the years he has performed and collaborated with characters and musicians such as Michael Bublé, Renzo Arbore, Fiorello, Franco Cerri, Renato Sellani, Gianni Basso, Stefano Bollani. 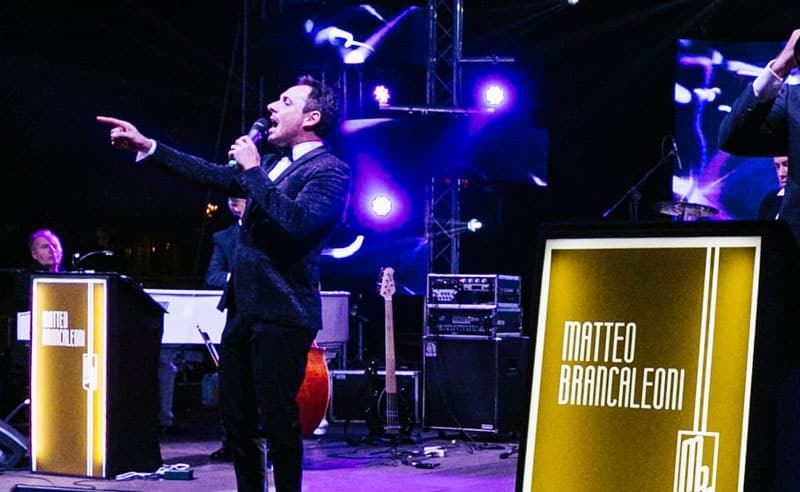 A tailor-made concert, ranging from swing classics to refined Italian and international pop music, revisited by Brancaleoni and his Italian Swing Band with his unique and personal style. Luxury Events, Luxury Weddings, Conventions, Company Parties, Live Clubs, Theaters, Hotels, Luxury Cruises, Resorts and Casinos. On request Matteo Brancaleoni can also be available in Quartet, Sextet, Big Band. Do you want to know the Artist’s availability?